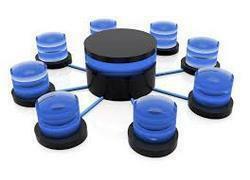 For our esteemed clients, we are offering an excellent Database Integration Service. For providing this service, our skilled professionals make use of progressive technology in sync with the latest market standards. Fully customized and can thus retrieve information from a variety of data sources, this service is widely used in various offices, schools and institutes and. Clients can avail this integration service from us at leading market prices. E-tel IPPBX and IVR/IVVR are fully customized and can thus retrieve information from a variety of data sources. As, a college or school could enable the retrieval of test results by prompting the student to enter a student number. The result could either be SMS’ed or read out to the caller through a text- to-speech processor. Callers could be greeted by name if the phone that they are dialling from is linked to a record in a customer database. You could retrieve stock information or even access balances in your accounting package. The possibilities are limited only by your imagination. Founded in 1997, Ergosoft Technologies Pvt. Ltd. has grown to become a leader in the voice processing industry, now located in Ghaziabad (Uttar Pradesh, India). ERGOTEL is the original designer and developer of PC-based voice processing systems. The feature-rich, stable software is designed to run on commercially available PC's and voice processing cards. ERGOTEL can provide your company with the software and hardware to convert existing PC's into efficient ss7, VOIP, IPPBX and Interactive Voice Response (IVR) systems as well as helps you decide on a new PC-based telephony solution for your organization. Started with an aim to provide best in class VoIP solutions, today e-tel is delivering outstanding VoIP products working with the many of the worlds leading and the innovative service providers in its core domain VOIP, e-tel caters to telecommunication industry ranging from start ups to established industry leaders.